The waters behind this MG may look tranquil, but not long before this picture was taken those waters devastated the Jersey Shore, and this MG, was almost one of Superstorm Sandy's victims. In one of the photos linked below, you'll see a line on the dash where salt water nearly submerged the entire vehicle. There wasn't a component that wasn't affected. Water entered everything. As if this wasn't devastating enough, this MG is not just some car to the owner. It's THE car. The car that he bought NEW, when he was just 19-years-old. The car he met his wife in. Raised a family with. Went to work in. Retired with. THE car. We've had the privilege to get to know this owner well, and it's been the honor of our career to bring his beloved beauty back to life. This Mercedes is the perfect example of how our preservation services can keep a car going long after it had been seemingly forgotten. After sitting stationary for many years, time was beginning to take its toll. The paint was dull and beginning to oxidize. Spots of rust were adorning the chrome trim. The interior was, well, crusty, to put it lightly. And forget about running. The gas cap went missing some time ago, and in its place, tin foil was placed over the filler neck in attempt to stop anything from entering the fuel tank. It didn't work. Rain water got in and rotted out the tank. But this car had "good bones". So our crew got to work, and was able not only to bring this car to a tip-top running condition, but bring back a luster to its exterior that is more than evident. 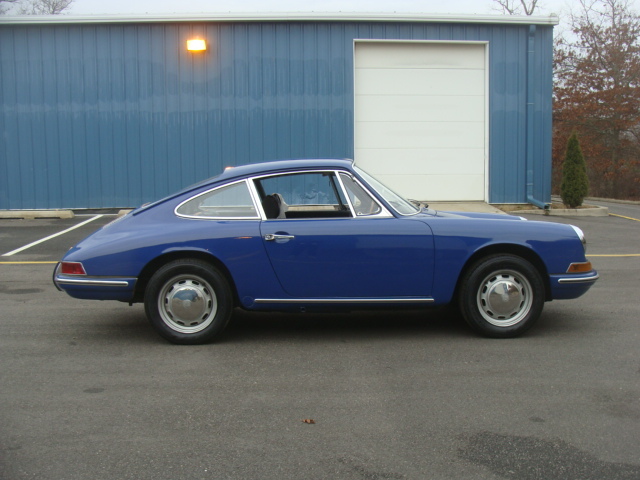 For the right candidate, preservation can be a great way to enjoy a vehicle for many years without the cost of an extensive restoration. Wait a minute... What's a Ford doing on the Foreign & Exotics page? Well, for those of you who didn't know, this Ford was actually built in Germany. 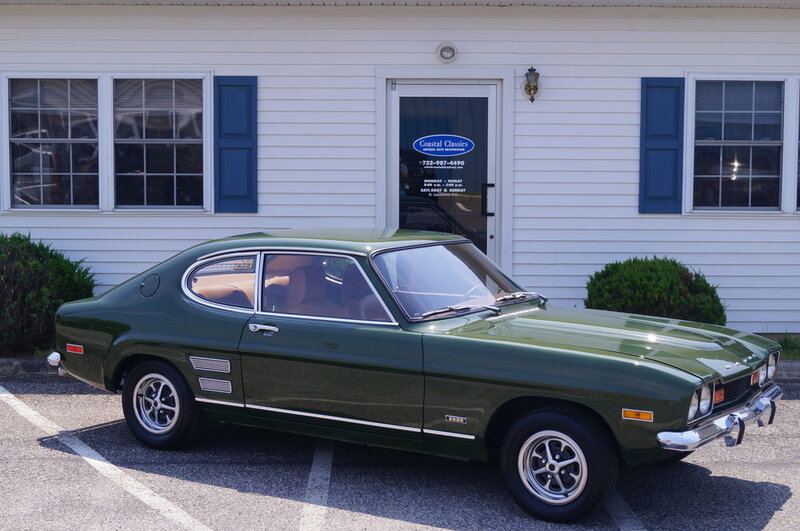 Nearly 2 million units of these Capri's were produced. They were the European equivalent to the Mustang. While this particular car sports an inline 4-cylinder, some models did come equipped with 6- or 8-cylinder engines. Despite their high production numbers, finding one in the United States can be quite difficult. 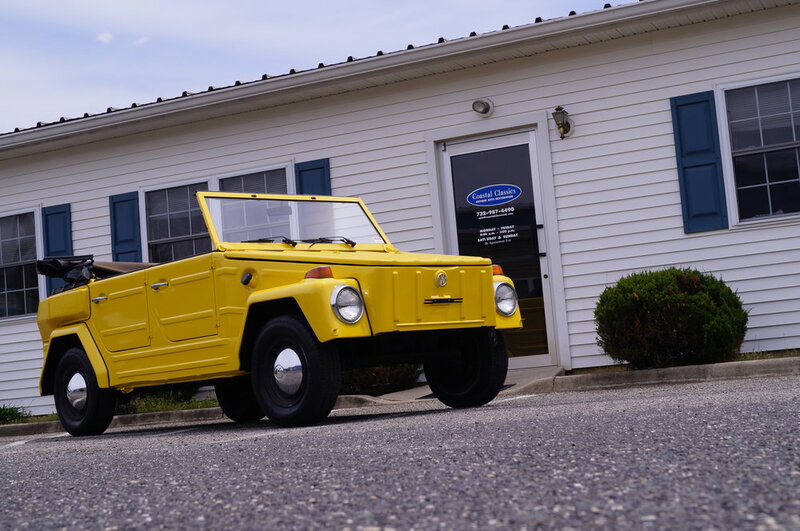 After years of searching, the owner managed to acquire one, and brought it to Coastal Classics for a partial restoration. We repainted the car, fixing numerous rusted areas along the way, and completely went through the mechanical systems, including overhauling the engine. Portions of the interior were also replaced.